The Myth of Consciousness . . .
Consciousness Explained. By Daniel C. Dennett. Boston, MA: Little, Brown and Company, 1991. 511 pages. It is, by now, common knowledge that it is far easier to explain something which ultimately does not need to be explained. Take, for example, the birth of Pegasus. If you were to ask me to explain how it is that Pegasus was begotten from the blood spilling out of Medusa’s decapitated head, I should simply respond, “Pegasus and Medusa do not exist. What is there to explain? Perhaps, what you really want is a historical account of how this mythological tale came to be.” One does not need to explain how a creature like Pegasus, who only seems to exist (i.e., whose existence is grounded in our imagination), is begotten from the blood of a dead goddess. Likewise, if we are to accept Dr. Dennett’s stance, one does not need to explain consciousness—at least, not in the traditional sense. For, according to his view, consciousness only seems to exist; it is mythology. What we really want, when exploring the nature of conscious mental states, is a scientific, third person, account of how the notion of consciousness arises. It is in this sense that consciousness is explained (or, perhaps, more fairly, explained away) in his book. [The] fundamentally antiscientific stance of dualism is, to my mind, its most disqualifying feature, and is the reason why in this book I adopt the apparently dogmatic rule that dualism is to be avoided at all costs. It is not that I think I can give a knock-down proof that dualism, in all its forms, is false or incoherent, but that, given the way dualism wallows in mystery, accepting dualism is giving up (37). 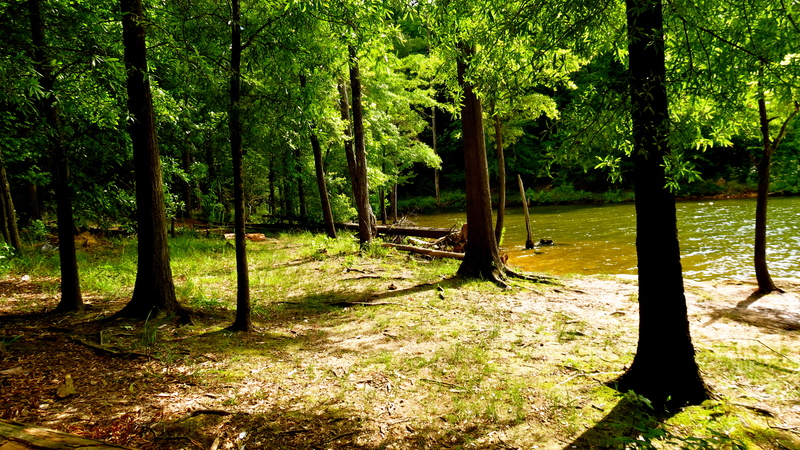 Rather than wallow in mystery (and, really, who wants to wallow? ), Dr. Dennett proposes a more sensible way—materialism. But not just any form of materialism, a materialism that faces the problem of consciousness realistically; without ignoring the key features of conscious mental states which render them so difficult to account for. The bulk of his book, therefore, is spent attempting to provide a broad materialistic framework by which we might account for all of the features of consciousness. From this standpoint, his book is essentially a conglomeration of various materialist theories on human cognition, neurology, psychology, physics, chemistry, and biological evolution pulled together to provide a cumulative case against those who might view consciousness as being at odds with a materialist ontology. Upon closer examination, however, it becomes clear that his real goal is to undercut traditional assumptions about the nature of consciousness (ie., the ones that need to be explained), and thereby remove the obstacles facing empirical scientific approaches. He achieves this by redefining or calling into question these assumptions—such notions as a “center of consciousness,” intentionality, identity over time, and qualia—which continue to mystify scientists. Don’t our internal discriminative states also have some special “intrinsic” properties, the subjective, private, ineffable, properties that constitute the way things look to us (sound to us, smell to us, etc.)? Those additional properties would be the qualia (373). Recognizing that subjective experience poses a serious problem to his materialist proclivities, Dr. Dennett spends a considerable amount of time on the issue. I will highlight several of the more innovative approaches he utilizes to “disqualify” qualia as being a serious obstacle to materialism. First, he wisely chooses not to quote any philosopher who makes a case that qualia is: (a) a legitimate property of consciousness and (b) a serious challenge to materialism. This is a very smart move, because it frees him from having to deal, directly, with their arguments (an understandable choice to make, considering the book is already 511 pages). Instead of engaging the literature on the subject, Dr. Dennett utilizes a fictional character named Otto (a.k.a., the Straw Man) to represent the opposing side. He then proceeds to deconstruct the problem of qualia as it is espoused by Otto. I will deal with this in greater detail in a moment. When Otto, in chapter 11, judged that there seemed to be a glowing pinkish ring, what was the content of his judgment? If, as I have insisted, his judgment wasn’t about a quale, a property of a “phenomenal” seem-ing-ring (made out of figment), just what was it about? What property did he find himself tempted to attribute (falsely) to something out in the world (375, emphasis mine)? Note how seamlessly he shifts from qualia being an internal subjective property to an external property we attribute to something out in the world. Such sophisticated sophistry is a rare gem. What property does Otto judge something to have when he judges it to be pink? The property he calls pink. And what property is that? It’s hard to say, but this should not embarrass us, because we can say why it’s hard to say. The best we can do, practically, when asked what surface properties we detect with color vision, is to say, uninformatively, that we detect the properties we detect. If someone wants a more informative story about those properties, there is a large and rather incompressible literature in biology, neuroscience, and psychophysics to consult. And Otto can’t say anything more about the property he calls pink by saying “It’s this!” (taking himself to be pointing “inside” at a private, phenomenal property of his experience). All that move accomplishes (at best) is to point to his own idiosyncratic color-discrimination state . . . but not to any quale that is exuded by it, or worn by it, or rendered by it, when it does its work. There are no such things (382-383). If this passage leaves you feeling confused, you are not alone. At first, Dr. Dennett seems to be discussing the “property of pink” and the “surface properties we detect with color vision” (i.e., external, third person properties); then, without warning, he declares the death of qualia. It is impossible to appreciate Dr. Dennett’s argument because he does not make one, but I submit that we can admire this paragraph for what it is: a powerful form or rhetoric. This leads us to the third approach Dr. Dennett utilizes to disqualify qualia: begging the question. It should be noted that this approach is perhaps one of his greatest strengths. Rather than disprove the existence of qualia (or, for that matter, any of the key features of consciousness) he simply assumes materialism is true. With this assumption in place, it is all too easy to explain qualia away. Consider, for example, how he handles the problem of inverted qualia. Dr. Dennett starts with the assumption that materialism is true and that our subjective qualitative experiences are simply reducible to our “reactive dispositions” (392). He then utilizes these assumptions to undercut the thought experiments propounded by those who consider inverted qualia a serious challenge to materialism. For example, his response to one thought experiment which demonstrates that, even with perfect technology, “no intersubjective comparison of qualia would be possible,” is merely to point out that it, “provides support, however, for the shockingly “verificationist” or “positivistic” view that the very idea of inverted qualia is nonsense–and hence that the very idea of qualia is nonsense” (390). It seems that by placing quotation marks around the terms verificationism and positivism, Dr. Dennett hopes to downplay the self-contradictory nature of both views. Unfortunately, sarcasm and well placed quotation marks do not negate the fact that verificationsim and logical positivism are dead-end’s which have been abandoned by serious philosophers for years. The reason being that both views promote a hopelessly limited epistemology. Dr. Dennett, however, seems undeterred by these problems because, after all, in his view materialism is true; and, if materialism is true, there must be some empirical (i.e., materialistic) way to verify the existence of qualia (outside of the fact that we all have subjective qualitative experiences). Naturally, if we accept this, our inability to compare our subjective experiences through some sort of third person objective standpoint leads to the conclusion that qualia is nonsense. The process of question begging demonstrated above is utilized repeatedly, and with great rhetorical flare, throughout the chapter. Consider Dr. Dennett’s response to Frank Jackson’s much debated thought experiment: Monochromatic Mary. The point of the experiment is to demonstrate that Mary, a super intelligent color scientist who has never personally experienced color, learns something knew upon her release from her monochromatic prison. Although she has learned everything there is to know about physical third person explanations of reflective light surfaces, human vision, neurology, and biology, she learns something knew upon personally experiencing a red rose for the first time. This “something new” is of course qualia–her subjective qualitative experience of the outside world. And so, one day, Mary’s captors decided it was time for her to see colors. As a trick, they prepared a bright blue banana to present as her first color experience ever. Mary took one look at it and said “Hey! You tried to trick me! Bananas are yellow, but this one is blue!” Her captors were dumfounded. How did she do it? “Simple,” she replied. “You have to remember that I know everything–absolutely everything–that could ever be known about the physical causes and effects of color vision. So of course before you brought the banana in, I had already written down, in exquisite detail, exactly what physical impression a yellow object or a blue object . . . would make on my nervous system. So I already knew exactly what thoughts I would have (because, after all, the “mere disposition” to think about this or that is not one of your famous qualia, is it?). I was not in the slightest surprised by my experience of blue . . . (399-400). Note how his story simply assumes the non-existence of qualia–the very thing in question. Admittedly, this method works very well to Dr. Dennett’s advantage. Why argue for your position when you can simply assume it to be true? The hard problem of consciousness, as it has been called by David Chalmers, is exactly the type of problem one would expect to be solved in a book entitled Consciousness Explained; ironically, quite the opposite is true. 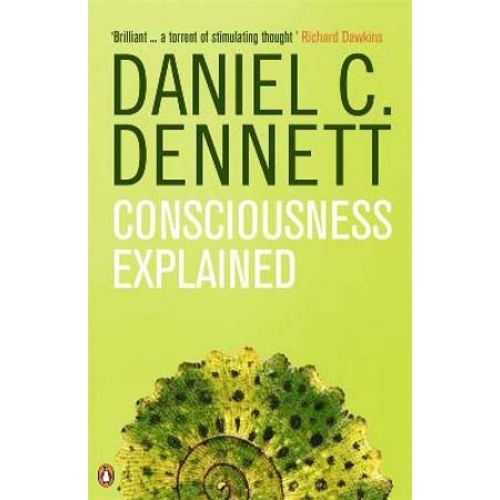 It is, rather, the hard problem of consciousness which is explained away by Dr. Dennett. The most significant features of consciousness, the one’s that incessantly resist materialistic explanation, are simply dismissed as being some sort of illusion. Qualia, intentionality, and other irreducible features of consciousness are no different from mythology in his view. Harking back to the analogy I presented in the introduction: the story of Pegasus and Medusa is exciting, and even thought provoking, but at the end of the day it is not based on reality. Likewise, for Dr. Dennett, our subjective inner qualitative experiences are a nice story but do not correspond to reality. Reality, if we accept his understanding, is anything explainable in terms of evolutionary biology, neurology, cognitive science, and the overarching laws of physics; period. As disconcerting as this may be, it is not quite as disconcerting as the means by which Dr. Dennett arrives at his conclusions. Arguments against dualism (in any way shape or form) are completely absent from the text. Materialism is, thus, taken for granted and consistently used as a defeater for any feature of consciousness that poses a challenge for materialism. A great deal of time is spent providing third person scientific accounts of physical processes without directly addressing the actual arguments of those who would object to Dr. Dennett’s materialism. For these reasons his book should not be considered a serious work of philosophy. It should, however, be praised for its good humor and readability. If anything, it is a shining modern example of sophistry and should be read diligently by anyone who seeks to learn how to make the weaker position seem strong. The “New Atheists” have made atheism in vogue among the popular masses. While agnosticism and atheism have been popular stances since the early days of the Enlightenment among the educated, until recently it wasn’t all that popular among the average citizen. In the past decade, however, that has begun to change. Chalk it up to the bravado of the New Atheists and their rhetoric, but don’t chalk it up to the content of atheism; that’s because atheism has no content, which is why no one should embrace it. The biggest problem with atheism is that it tells us nothing about what is or what ought to be. If anything, in recent years, atheism has turned into nothing more than a giant rant against religion, specifically Christianity. Look at any of the popular books on atheism by atheists and it’s full of arguments against the existence of God. We’re told that God is evil, that God is impossible, that it’s irrational to believe in God, that we don’t need God in order to be good, and so on. In other words, all modern atheism does is show us what not to believe, but it puts nothing in the place of God. Yet, and this is the problem with all skepticism, if no content can be provided as to what should be believed in the absence of what is rejected, then what value is the belief? Recognizing that atheism lacks answers to questions is a big reason for some people to turn away from atheism. After all, any child can mock something someone says, but it takes an adult to articulate why a belief is wrong and what should be believed in its stead. This is not to say that all atheists are children; there are some atheists who are making an attempt to explain why we should be ethical in the absence of God, why life has meaning, and so on. But these atheists are few and far between, and they’re getting fewer (either due to death or conversion to theism). The new atheists apparently want to say that life has meaning, life is unique and wonderful, and that universal ethics exist, but don’t want to supply any proper reasoning behind it. While “fanboys” of the new atheists laud their writings, other atheists (especially in academia) recognize that the new atheists have fallen short. In fact, my implication of there being two atheists is explicitly stated by other atheists (though I still think both types of atheism presented in the linked article are sub-standard as they provide no answers). We look at the universe and through a process of deduction conclude that God is the most probable explanation. The atheist says no, but when we ask him to explain how something came from nothing, we get nothing (even Lawrence Krauss’ book completely falls short of its title). We’re told that we don’t need God in order to be good. When we ask why we ought to be good, we’re told it’s a matter of genetics and evolution. When we point out that we’re then determined and thus there’s no point to shame or praise, we’re told that we can still choose and that we ought to be ashamed for rejecting atheism. When we say that this is the language of free will (in fact, the mere act of attempting to persuade someone is acting on an implicit belief in free will), we’re told that everything is determined. Thus, atheism, in its attempt to prove God doesn’t exist discredits free will, but then seeks to persuade people to believe God doesn’t exist. This is simply one of many contradictions within atheism. Having answers for the ought is important because the justification behind the ought is what changes society. Why ought I act a certain way? Why ought I pass certain laws? Why ought I care about suffering that is not my own? Why ought I show any concern for society? Ultimately, all atheism can say is, “Well evolution has caused this,” but that’s not an ought, it’s an explanation. Perhaps evolution has led the majority of humans to believe it’s wrong to murder for one’s own benefit, but where is the ought for humans who see no problem with that? And were we to provide an ought for why it’s wrong to murder, ultimately such a justification must be established in a strong metaphysic. But if our metaphysic is nothing beyond, “Something came from nothing as a huge accident” then our justification loses all meaning because it inherently lacks purpose. Thus, the biggest problem with atheism is that it brings nothing to the table. It cannot create a metaphysic that holds any meaning because the metaphysic will ultimately lack purpose. Perhaps the new atheists can turn to existentialism, but once again we run into the problem; whereas existentialism taught that we provided meaning to our lives (which is something Kai Nielsen teaches), this belief doesn’t work because, yet again, it lacks the ought. Certainly the atheist can say that helping old ladies cross the street provides meaning to our lives, but we can counter that assuming the atheist metaphysic is true, pushing old ladies in front of cars equally provides meaning; neither action is good or bad, they’re simply actions (this is the conclusion Nietzsche came to). None of this is to say that atheists can’t be good – they are often better than many religious people – but it is to say that atheists lack justification for being good. Of course, the problem of atheism isn’t limited to the realm of ethics, but that’s just the most obvious target. Atheism has no metaphysic, no justification behind its oughtness. Thus, while atheists may ask difficult questions or point to potential problems with theism, it ultimately lacks any substance or any reason for being good. Thus, even if the atheist points out that a reason for being good is false, it doesn’t mean we should disbelieve God, just that we should disbelieve the absoluteness of our reason; there’s still no reason to be an atheist because it simply has no answers. It might be able to question the explanations for “what is,” but it cannot provide its own explanation for “what is.” That is to say, atheism cannot tell us anything about the world around us, but can only question other theories that attempt to make and explanation, meaning atheism, ultimately, brings nothing to the table.